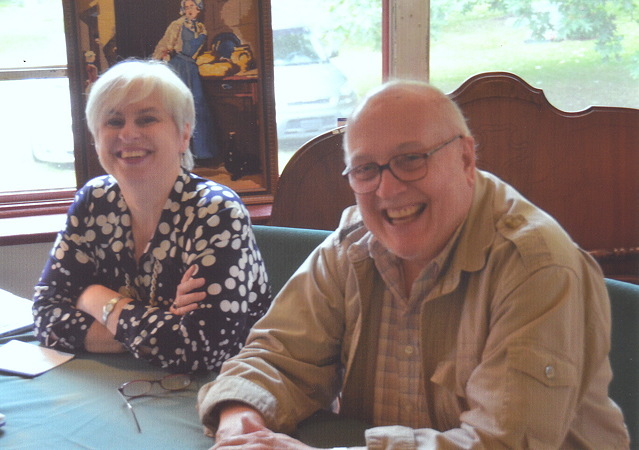 By way of introduction, we are Wilfrid de Freitas and Susan Ravdin, general dealers in antiquarian and out-of-print books, with a few specialties in subjects / authors which are of particular interest to us (and we hope to you!). We've been in the business over thirty years and are, as Wilfrid puts it, "... fortunate to do for a living what we would do for fun." What more could anyone ask of their career? And what's of special interest to us? Take a look at our specialties list and it will give you an idea. We are Anglophiles with a particular preference for the Victorian era: authors like Sir Arthur Conan Doyle and Lewis Carroll, the operas of Gilbert and Sullivan, and the Vanity Fair caricatures fit right in. Beyond that we also hunt for interesting travel, sports and games, natural history, architecture, and curiosities — anything that describes and defines the period. Other hints to what we like can be found in our occasional parodies and other writings, mostly written around Christmas and with a bookseller's perspective. We hope you enjoy them. But, being generalists, we're not limited to any one subject or period. When asked what we deal in our best answer is "Books we like", and we like a lot of them! So if you don't see what you're looking for on our lists, check out our Facebook feed or contact us. We'll happily look and see what we have that might suit your taste. We travel extensively, and consequently are sometimes away for periods of up to a week; very occasionally longer than that. This means that if we don't reply to your message immediately (within 24 hours), you should assume we're away and that we'll get back to you on our return. We look forward to hearing from you!